After attending NSSF’s SHOT Show for the past five years in a variety of roles, I was thrilled to be invited to cover this year's Industry Day at the Range event. Prior to departing for Las Vegas, I checked the weather forecast for Industry Day and decided that layering my clothes would be the best choice. I’m thankful that I did, because the temperature hovered around 48 degrees with 35 mph winds at the Boulder Rifle and Pistol Club in Boulder City, NE. After stepping off the shuttle bus and into a dust storm reminiscent of the Mint 400 scene from the movie “Fear and Loathing in Las Vegas,” I determined that attempting to shoot any firearm long distance would be far more challenging than my novice rifle shooting skills could handle. I primarily stuck with handguns and short-range rifle shooting. 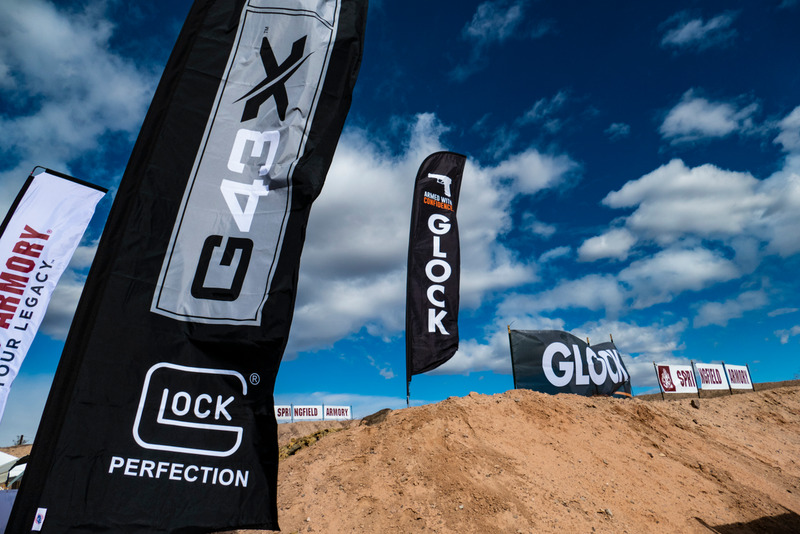 Check out these photos of the action from this year’s SHOT Show Industry Day at the Range.